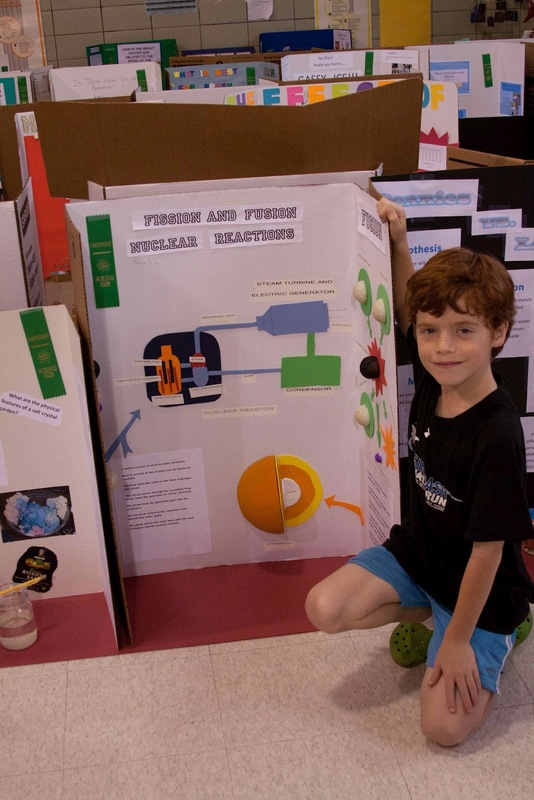 Elementary school science fairs bring to mind potato clocks and volcano cross-sections. All good stuff for young minds exploring the scientific method and research techniques. 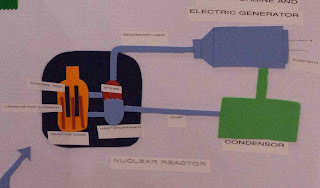 My own sons have done standard science fair materials such as the Alka-Seltzer rockets. 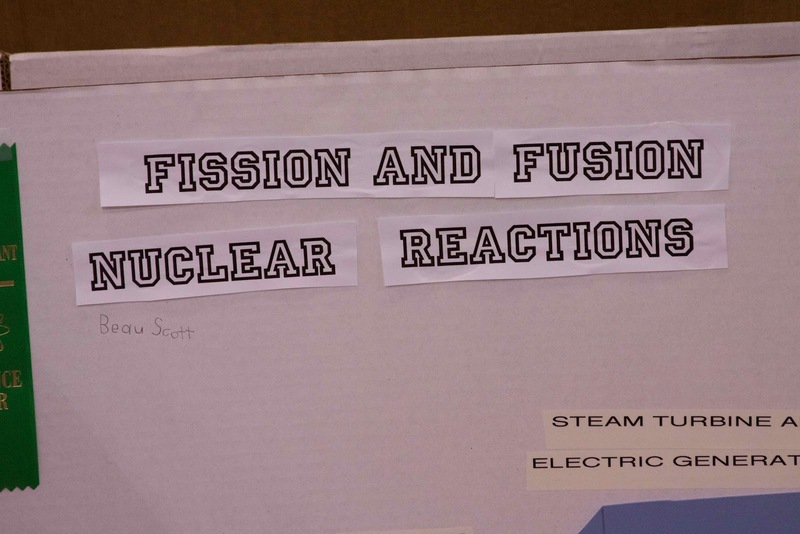 Classic fare for science fairs. This year Helios took his science fair project to the next level, the mantra his teacher of the past two years has drilled into his head. She impressed on my son that doing your best means pushing the boundaries beyond what you once thought possible, taking each assignment to a higher level of quality and understanding. So with that mantra rattling around in his head, Helios was determined to have a killer science fair project. His fervor for the next level was heightened by the influence of Taylor Wilson. Wilson is an incredibly gifted high school student who created nuclear fusion at the tender age of 14, the youngest person to ever do so. Wilson became interested in nuclear physics in the fifth grade, only slightly earlier than most kids develop that interest. A short five years later, he was teaching a graduate level course in nuclear physics and whipping up fusion in a lab at the Univeristy of Nevada, Reno, before he even graduated high school. Wilson clearly has a similar "next level" mantra rattling around in his head as well. In fact, he states that "nothing is impossible for me." Setting youthful hubris aside, I say "Go Wilson!" 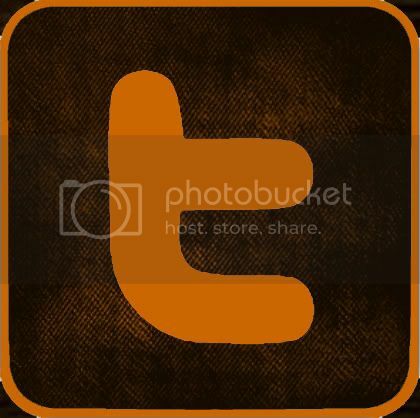 And Helios said, "Go me!" 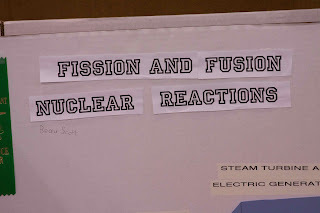 as he set out to explain the difference between nuclear fission and fusion to his elementary school peers. But first, he had to learn about it and then explain it to me. Which he did. 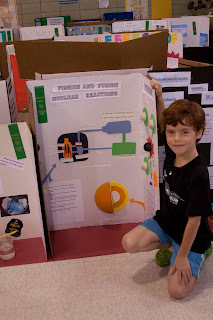 He set to work researching, creating diagrams and expertly gluing them to his science fair board. I likely won't ever fully understand all the ins & outs of nuclear reactions but Helios has a good starting grasp and wants to know more. His classmates were inspired too. After his presentation, they asked lots of questions, probably ones more clever than many adults would ask. Helios and the kids in his class, like Wilson, are unafraid of what they don't know. No topic is too big for them. 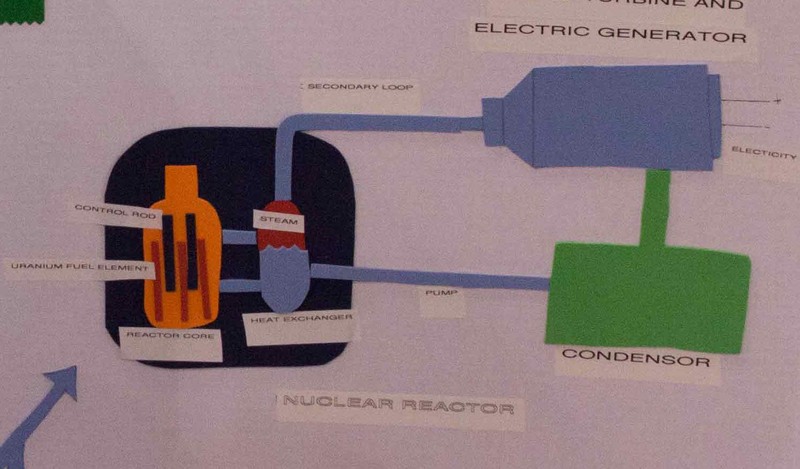 And as a third grader, Helios started dabbling in nuclear research earlier than Wilson did. If he continues on this path, who knows to what next level he'll reach?